Lights are on in Helsinki! What a feeling! So far the winter in Helsinki has been extremely dark and rainy with zero snow and zero sunshine. 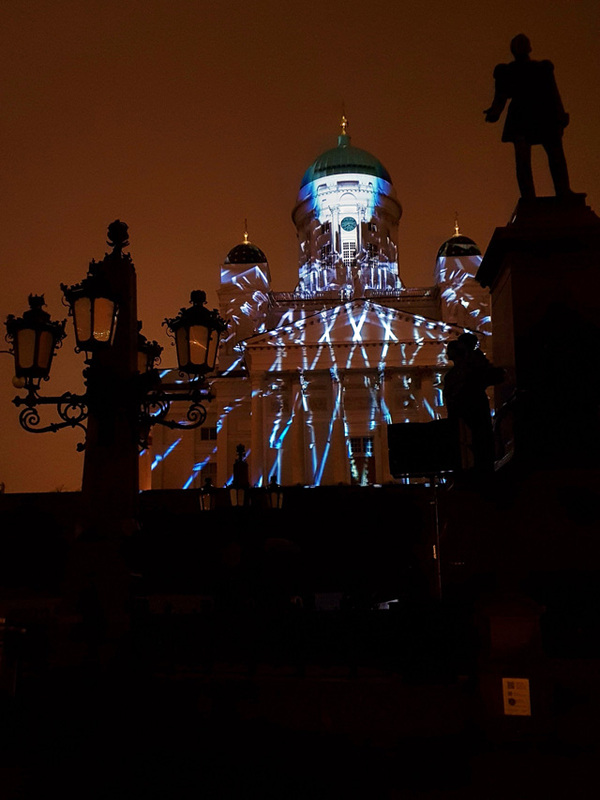 This is the reason why we got so excited earlier today when the Lux Helsinki Light Festival shedded new light on the Finnish capital city. The playground for Lux Helsinki Light Festival this year is the impressive Helsinki city centre district of Kaartinkaupunki, where the streets, squares and buildings come to life for 5 days (6–10 Jan 2018) with vibrant and colourful light art.